With an estimated Rs 20,000 crore exporters’ refund still stuck, the government will launch the second phase of refund fortnight beginning May 31 to fast-track clearances. “Special Refund Fortnight” to be organised from May 31 to June 14 in which Center and state GST officers will strive to clear all GST refund applications received on or before April 30, 2018,” GST@GoI, which is the official twitter handle for GST related matters, tweeted. 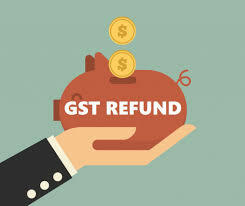 The “Special Refund Fortnight” is for all GST refunds, including refund of IGST paid on export of goods and all refund claims submitted in FORM GST RFD-01A on or before 30.04.2018. In March, the government had launched a similar exercise to process the pending GST refunds on account of exports. However this time,this time the “Special Drive Refund Fortnight” would facilitate all types of Refund claims in which Customs, Central and State GST officers will strive to clear all GST refund applications received on or before 30.04.2018. Refund claims to the tune of Rs 14,000 crore (Rs.7,000 crore on the IGST side and Rs 7,000 crore on account of ITC) are pending with the Government as on date, as against the figure of Rs 20,000 crore projected by exporters’ body FIEO in the press reports. 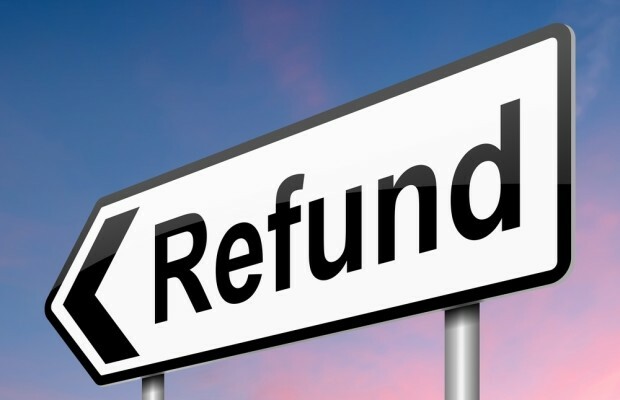 The refund application in FORM GST RFD-01A will not be processed unless a copy of the application, along with all supporting documents, is submitted by an applicant to the jurisdictional tax office. 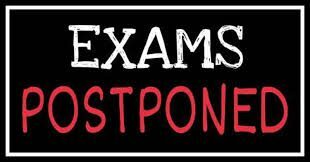 Mere online submission is not sufficient, the release added. Previous ICAI issues Accounting Standard for Local Bodies. I would like to thank you for the efforts you’ve put in writing this blog. I’m hoping the same high-grade blog post from you in the upcoming also. Actually your creative writing skills has inspired me to get my own web site now. Really the blogging is spreading its wings rapidly. Your write up is a great example of it. whoah this weblog is wonderful i really like reading your articles. Stay up the good work! You recognize, many people are searching round for this information, you could aid them greatly. I’m just commenting to make you understand what a perfect experience my friend’s child encountered using your web site. She mastered many things, most notably how it is like to possess a great helping nature to make men and women with no trouble thoroughly grasp specific extremely tough issues. You undoubtedly did more than readers’ expectations. I appreciate you for presenting these essential, trusted, educational and in addition unique tips about that topic to Gloria. Hiya, I am really glad I have found this info. Nowadays bloggers publish only about gossips and net and this is actually frustrating. A good website with exciting content, this is what I need. Thank you for keeping this site, I will be visiting it. Do you do newsletters? Can’t find it. Great post. I was checking constantly this blog and I am impressed! Extremely helpful information specifically the last part 🙂 I care for such info much. I was seeking this particular info for a long time. Thank you and good luck. viagra help with pulmonary hypertension. Valuable info. Lucky me I found your website unintentionally, and I am surprised why this twist of fate did not took place in advance! I bookmarked it. Excellent site. A lot of helpful info here. I¡¦m sending it to some friends ans also sharing in delicious. And of course, thank you to your sweat! I just want to say I am just newbie to blogging and site-building and really savored you’re blog. Most likely I’m planning to bookmark your website . You certainly come with fantastic articles. Thanks for sharing your website page. It’s an remarkable paragraph for all the internet people; they will get benefit from it I am sure. a shout out from Dallas Texas! Just wanted to mention keep up the good work! I would like to thank you for the efforts you have put in writing this web site. I’m hoping the same high-grade blog post from you in the upcoming as well. In fact your creative writing skills has encouraged me to get my own website now. Actually the blogging is spreading its wings quickly. Your write up is a good example of it. Between me and my husband we’ve owned more MP3 players over time than I could count, including Sansas, iRivers, iPods (classic & touch), the Ibiza Rhapsody, etc. But, the previous couple of years I’ve settled down to 1 distinct players. Why? Because I was happy to find how well-designed and fun to use the underappreciated (and widely mocked) Zunes are. One thing is one of the most frequent incentives for applying your credit card is a cash-back or even rebate present. Generally, you get 1-5 back on various expenditures. Depending on the cards, you may get 1 again on most buying, and 5 in return on buying made using convenience stores, gas stations, grocery stores plus ‘member merchants’. Good day very nice site!! Guy .. Excellent .. Superb .. I will bookmark your site and take the feeds also¡KI’m happy to find a lot of helpful information right here in the publish, we want work out extra strategies in this regard, thank you for sharing. . . . . .
I’ve learn this publish and if I may I desire to suggest you some interesting things or advice.